Contracts, Bids, Proposals, Agreements, Quotes, RPFs… What’s the Diff? I’m a web designer with a little bit of graphic designer stirred in. And I’ve had my own web design business for 20 years. I even wrote a book entitled How to Start a Home-Based Web Design Business in its 4th edition. Over the years, the question I’ve answered most frequently from fellow web designers is related to my contract. Or how to write a proposal. Or an agreement. Or what to include in a quote. Finally someone asked me the stumper… What’s the difference in a contract, proposal, agreement, or quote? Now the first disclaimer is that I’m not an attorney. But that never stopped me from freely tossing out non-legal opinions! So first, do like I did and get a friendly attorney to give you advice. It may be the best investment your business makes! With those requirements met, your agreement can become a legally binding contract. But only to the extent that you make your requirements clear. If your agreement does not spell out who is responsible for copyright violations (for example), there are defaults in place that you might not want. It’s much better to put them in your agreement. If you are a web designer (for example,) what can you do if a client doesn’t pay you? You have access to their website. Can you disconnect it? Or even more satisfying, put a big banner in place of the website saying “Disconnected due to non-payment! !” It may be tempting but unless you spell that out in your contract, you may find yourself in court defending your business against a disgruntled client who feels they lost a bunch of money plus their pristine name due to your unfair stunt. You may know what you want a contract to do for you. But without a lawyer looking over your contract, you are inviting trouble. Remember the requirement from the list above that says the offer must be legally binding? If you create your own contract or, more likely, copy someone else’s contract, and if there is something in it that does not apply to the state or location you are in, a sharp attorney may prove your offer was not legally binding. Enough about that… get an attorney to look over your shoulder! So, let’s start with the basic terms – contracts and agreements. You can have an agreement with someone without it being a legally binding contract. A contract is generally an all-encompassing document for a project. It spells out all of the terms, payment schedule, and price. And to the extent the agreement meets legal criteria listed above, that is what makes it a legally binding contract. But technically, until it is signed, it is not a legal contract – it is a proposal. A proposal is an agreement being submitted in anticipation of being signed, or otherwise legally accepted. If everything is in place, once that proposal has been accepted, it should become a legally binding contract on both parties. You agree to provide designated services or products to them within some stipulations, and they agree to provide you with content (for me as a web designer, anyway) and with timely payments as agreed to. A RFP is business jargon for a “Request for Proposal” which may also be stated as RFQ or “Request for Quote.” It is just what it sounds like. Someone is requesting that you put a proposal together, based upon a set of criteria they have submitted. Now I’m not part of a large web design firm. I seldom get RFPs. They take a lot of work and knowledge of the business in order to make a specific request. I typically get an email saying, “Can you fix my website?” or “Can you build a website for me?” or something of that nature. Then it is up to me to flesh out enough details to put a proposal together. The few times that I’ve gotten formal RFPs, I’ve sensed that they already have someone in mind and are just getting a couple more quotes just to do their due diligence. Of course, you may have better luck with RFPs and even find them easier to bid on since the details are already spelled out. A bid and a quote are similar. However, a bid typically indicates that there will be other vendors submitting their own quotes for the job. You probably will not be asked to submit a bid if you are the only one submitting a quote. If you are asked to bid on a job, chances are good it is going to be a competitive process. Sometimes in bids, you will be requested to resubmit your bid to cover some details that were not included in the original request. The bidding process can become quite complex depending on how many are bidding against you and any particulars that might be decided on during the process. Quotes, on the other hand, are generally submitted one time. Either the client accepts your quote or not; I’ve never found myself in a spot where I’ve needed to revamp a quote unless it is just to tweak a clause in it to clarify something the client insisted on. Now that I’ve given you my opinions on Contracts, Bids, Proposals, Agreements, Quotes, and RFPs, let me tell you how I, as a home-based web designer, deal with them. If you are a small business person, you may have a similar structure. When I started my business 20 years ago, I didn’t think I needed a contract. I was happy to get the business and didn’t want to foul it up with legal mumble-jumble. I soon learned that clients did not take me seriously without an agreement. And I had situations in which I thought we had an understanding but the client remembered something different from our “chat.” I started jotting down what I expected to get from an agreement – I get half up front and then the balance BEFORE turning over the final website. What I will do if the payments are not made. That I’m not responsible if a client gives me a photo to put on their website that violates some copyright law. I looked at some other small business contracts and got other ideas from those. I put that all together using non-legal jargon so it would be understandable. Then I took it to an attorney to get his legal take on it. He scoffed at it, ridiculed and belittled me for making such a lame attempt at a contract. I thanked him and walked out. I then found a more personable small business attorney who was willing to help turn my plain talk into a legally binding document. I spent around two hours and a couple hundred dollars getting to know what I missed, what I was willing to take a risk over, and coming up with a document that in ten pages of tiny font, covered everything in clear and understandable language. It seemed like overkill to me to hand a client a proposal with ten pages of legal stuff and a couple of pages describing what I would be doing. Years went by before I stumbled across Quote Roller. And the light went off in my head. I set up my own template with an intro about myself and my company, then the pricing and payment schedule, a detailed description of what I will do (Scope of Work), what info I will need from the client, then that huge legal document simply titled “Terms.” Then the proposal was wrapped up with a call to action page titled “To Get Started” that briefly states that after reading the proposal, click the agreement link or e-sign it, and then the initial amount will be invoiced (through my other favorite cloud app, Freshbooks.) I’ve been using this system for a couple of years now with great success. If you have any questions or would like to share your thoughts on this, scroll down to the comments below and let loose! I’ll be glad to hear from you. Jim Smith is a web designer and wrote a home-based business book for fellow web designers called How to Start a Home-Based Web Design Business. It is in its 4th edition. 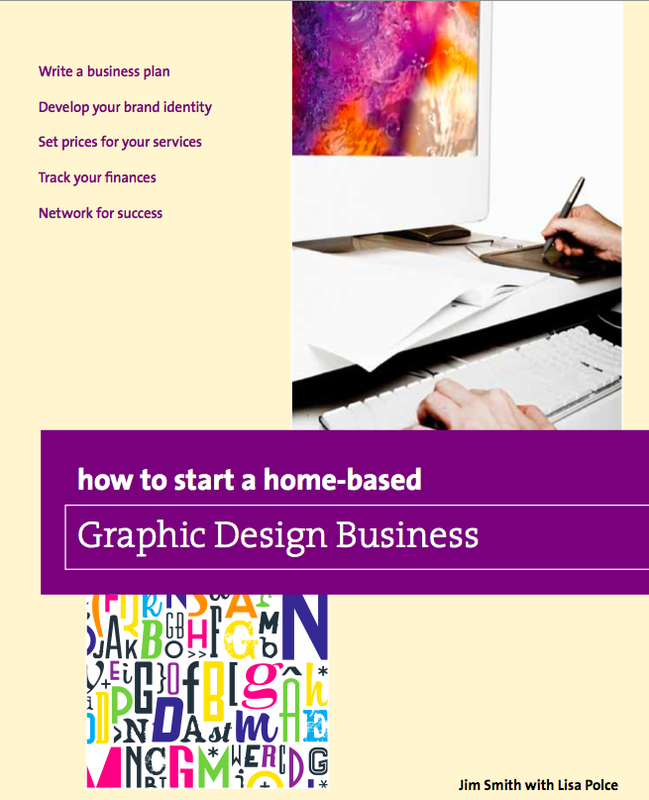 And he followed up with a similar business book for Graphic Designers, How to Start a Home-Based Graphic Design Business coming out December 2013.